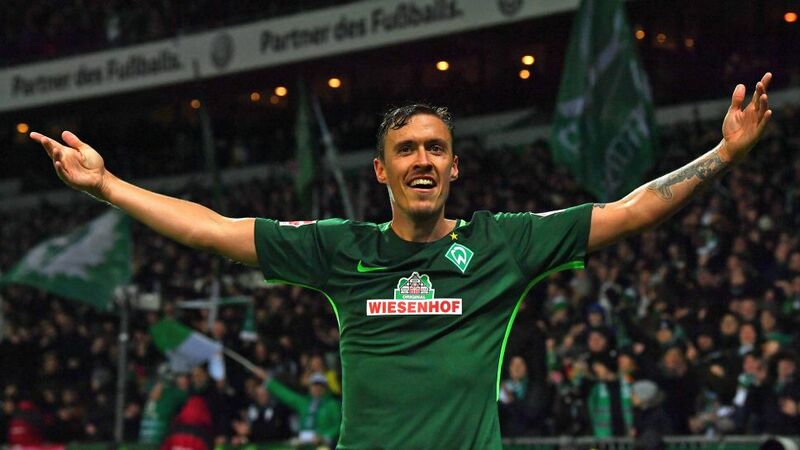 Werder Bremen forward Max Kruse has boosted his credentials for a place at the World Cup next summer by sending an unequivocal reminder of his talent to Germany coach Joachim Löw on Matchday 12. There could be only one interpretation of the 29-year-old's hat-trick in Bremen's 4-0 win over Hannover – a feat that came pre-announced, making Kruse's determination to represent his country in Russia all the more credible. "I have faith in my ability," he said 48 hours before putting Hannover to the sword on Sunday. "Once you've had your foot in the door once, it's only normal that you hope to be involved again. I'm feeling good; I'm 100 per cent and there can be no excuses." With six months to go before Löw names the squad he hopes will defend the World Cup title next summer, Kruse could not have been clearer – both with his words off the field, and then his actions on it, with his third hat-trick in the Bundesliga. After five weeks out due to a broken collarbone, it is no coincidence that Bremen celebrated their first win in the Bundesliga this season with Kruse in control. "I want him more central, in front of the goal," said new Bremen coach Florian Kohfeldt, whose tactical transition was repaid. In Sunday's 90 minutes, Bremen scored as many as they had in all of their previous 11 games combined this season, thanks to one man in particular. With an assist for Fin Bartels' opener and then his hat-trick, Kruse has had his shackles removed by Kohfeldt, and Bremen fans can breathe a big sigh of relief. "Max is absolutely lethal in front of goal," said team-mate Maximilian Eggestein of the Bundesliga's Matchday 12 Man of the Matchday. With 13 goals and seven assists in the second half of last season, Kruse's timely return to form at the weekend was just what the northern Germany club needed to lift their spirits and give them hope of a repeat performance between now and May. "We've done everything we intented," Kruse said. "Finally, we've played good football again. We worked hard during the international break on tactics, and this gave us courage. I'm really, really happy to have scored again, but we've taken long enough to get this first win of the season and we still only have eight points, so we can't get carried away. We need to work hard – there's a long way to go still." Nevertheless, that way now looks less riddled thanks to Kruse's return to form, and timely reminder of what he can do – for club and for country.